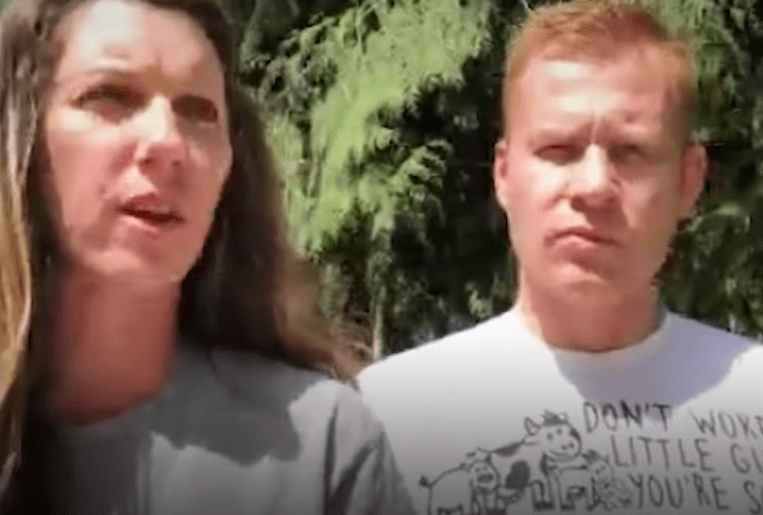 Jen and Tray Federichi used to farm cattle for a living. Although they were animal lovers, the couple had grown up around the ranching industry and were familiar with the scene. Later, as they grew older, they questioned their beliefs. Seeing the brutality of the beef industry led them to convert their ranch into The Surf and Turf Sanctuary. Instead of farming cattle, the couple now provides a home for unwanted and mistreated animals. 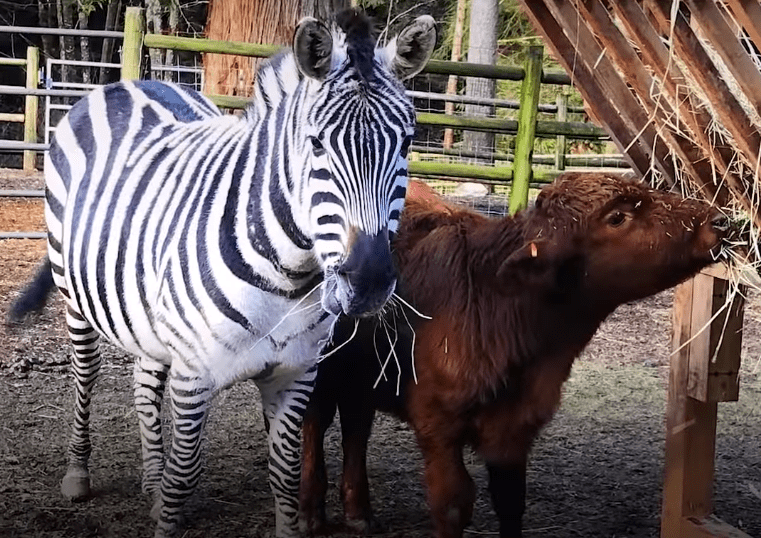 They have a number of cows, goats, dogs, and cats— and a zebra named Mystery. 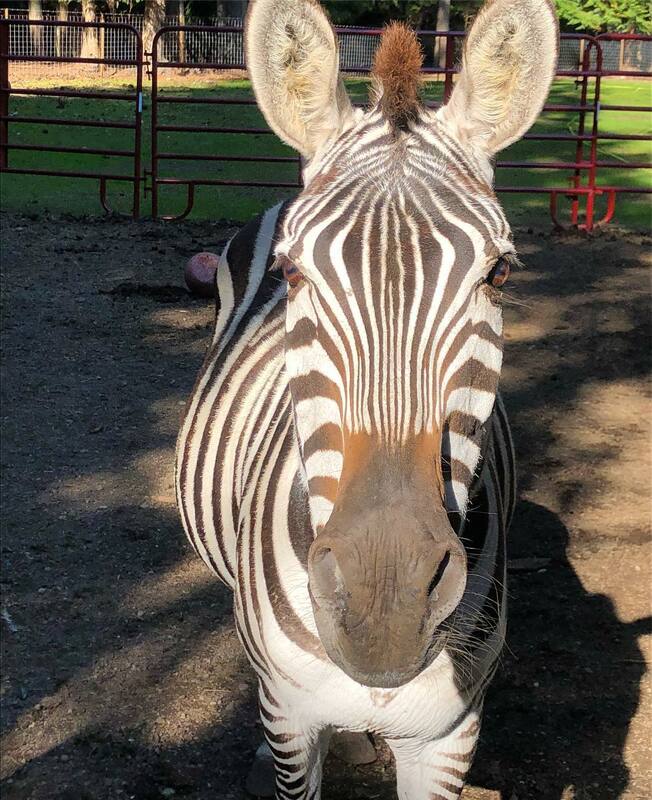 Mystery was rescued from a drive-through petting zoo. She was too wild for the owner’s liking, and they needed a way to get their money’s worth. The owners were in the process of organizing a canned hunt (where people pay to shoot animals) when the Federichis stepped in. When they brought Mystery to the sanctuary, she immediately approached the cows. Since then, she’s formed an incredible bond with the herd— and it’s melting everyone’s hearts. “When we got her, she went straight to the cows,” Jen told The Dodo. Mystery spends her time tailing the herd of cows, rubbing up on them like best friends. She’s become particularly attached the calves, guarding them and herding them when they get lost. 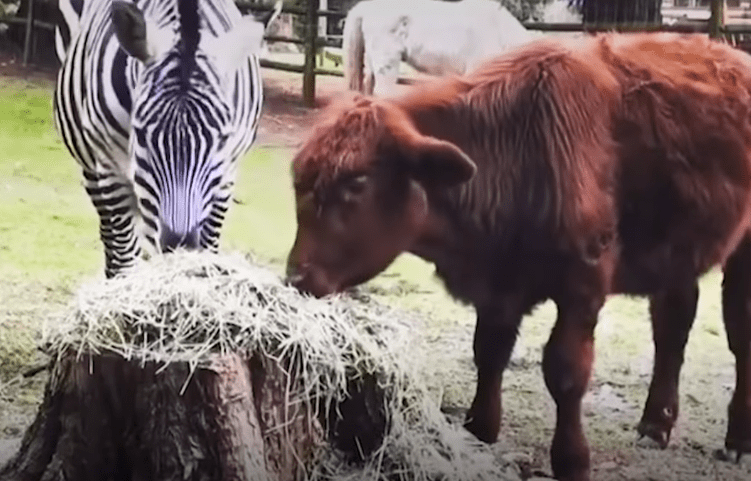 This type of behavior is common amongst cows, and the zebra seems to have caught on. 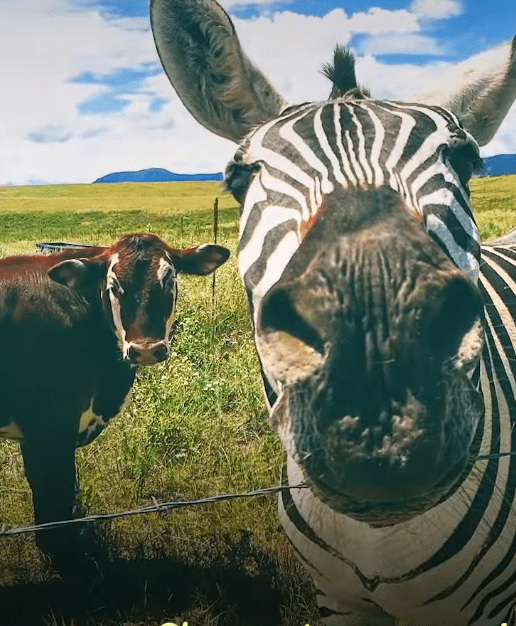 Mystery’s attraction to the cows may seem weird, but it makes sense when you consider zebras are herd animals. In the wild, zebras live in large groups, often creating “super herds” as they merge with others in search of new feeding grounds. 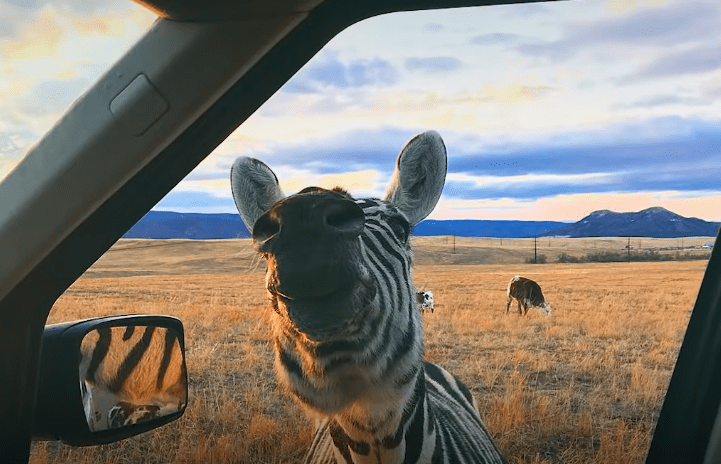 Maybe the drive-thru zoo was lonely for Mystery, and she likes the idea of being part of a family— even if it is family of cattle. “She doesn’t want to be by herself ever,” said Tray. 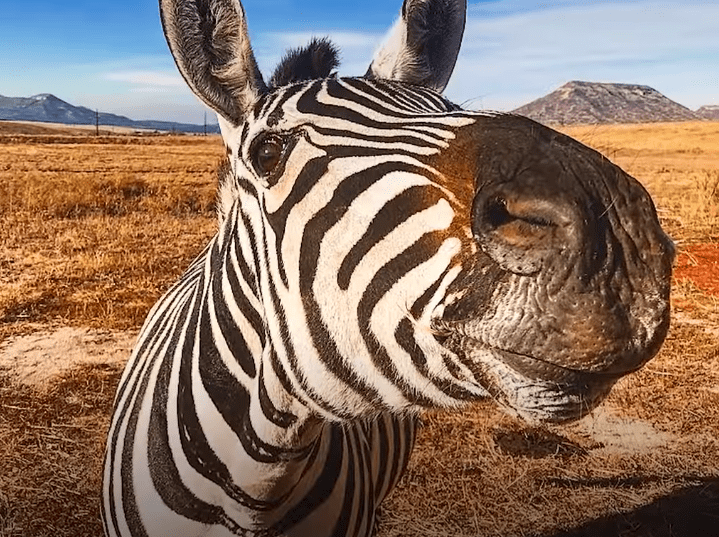 Thanks to the Federichis, Mystery (and plenty of other animals) now have a brand-new lease on life— and a bit of viral fame. Since being shared online, Mystery’s story has been viewed thousands of times. 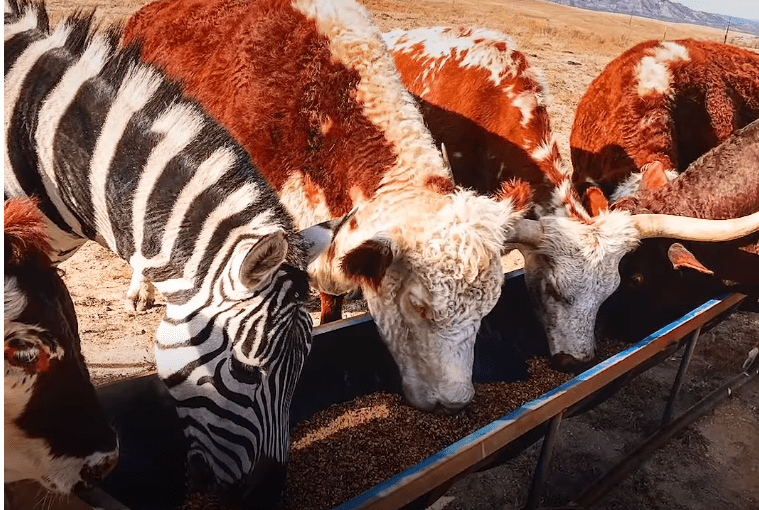 It’s so interesting to see an exotic animal mingling and bonding with farm life— not to mention, the kindness it takes to commit to such a rescue task!